When’s the last time you asked your clients what they think of you? Do you have a clear picture of why they chose you and why they stick around (or why those who left, did)? Modern tech companies build customer satisfaction surveys directly into their products to get real-time feedback. This allows them to pivot quickly and provide exactly what their users want. Financial advisors can take a similar approach to their service, but it can be difficult to get honest feedback. This is why Altruist is introducing a new series: ‘Managing Their Money: Real Stories From Clients of Financial Advisors’, to give you a look inside the head of the average client (with a few tips along the way). 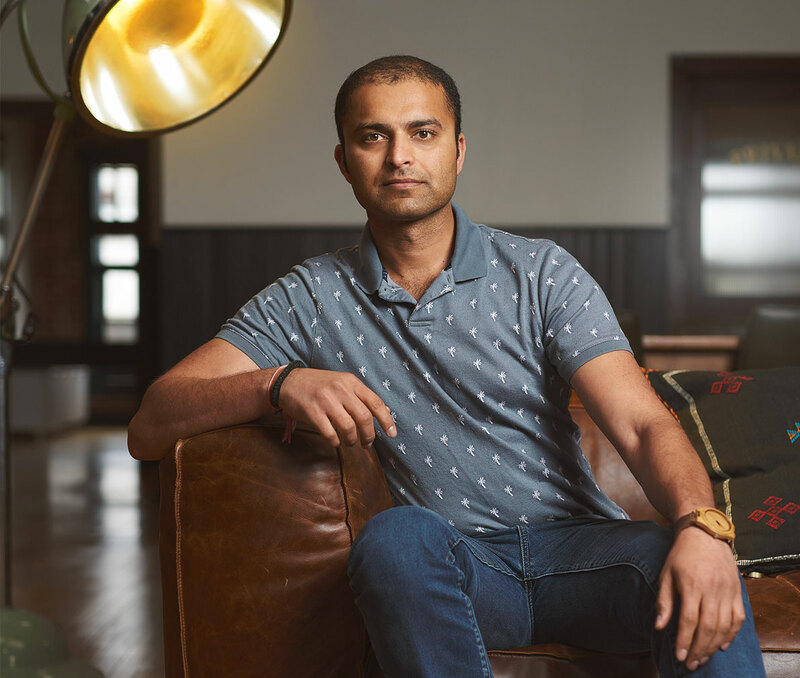 For our first installment, we sat down with Ashit Joshi, Chief Technology Officer at Altruist, to learn about his personal experiences with an advisor. Ashit was an early (and key) member of a successful Silicon Valley company and accumulated a good chunk of change at a young age. As a hands-off investor who values the advice of experts in their respective fields, most advisors would consider him an ideal client. A few years ago he set out to do more with his money. How did you find your financial advisor? Ashit currently uses two advisors but is considering consolidating. Like almost half of Americans who work with financial advisors, he initially picked both his FAs because of trust. His first financial advisor came to him through an introduction from his existing bank. Since it was a major, well-known brand, he felt like investing money through them would be worth a try. His second advisor came highly recommended by a friend and was also an established, well-known company. 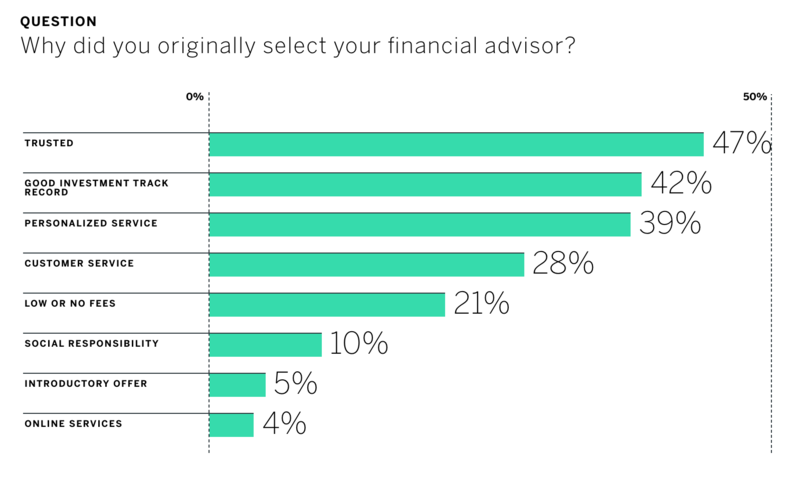 Referrals can be so important and more than half (56%) of all clients say they’d recommend their financial advisor to friends or family, according to Qualtrics. However, millennial investors are a little less likely to refer friends to their FAs, with 40% saying they would. Advisors who make it extremely simple for clients to refer them grow their business quicker than those who don’t. Sometimes simply asking is all it takes. Why did you hire your financial advisor? Joshi’s first advisor also earned his trust and business by helping him get started without meeting the usual $100,000 minimum. By making an exception, Joshi’s first FA established a connection that’s already lasted several years (and opened new doors for the advisor). 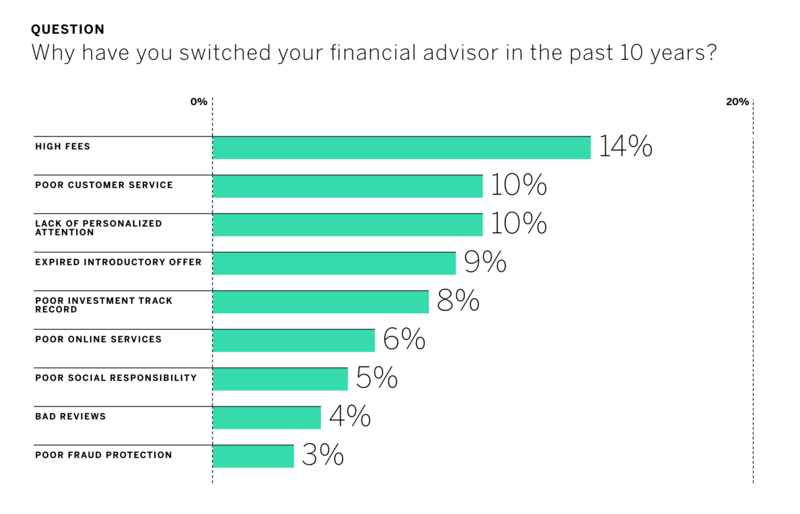 Clients keep their advisor an average of 10.7 years. His second advisor started out at an advantage because he was referred by a friend, ultimately earning some of his business by sitting down with him to present information about their company. He also showed a side-by-side comparison of potential returns with what he was getting with his current advisor. Joshi says their transparency about their fees was also something that helped gain his trust. It also provoked him to question the fees with his first advisor, who wasn’t as upfront with this information. It's really quite amazing how many FA's shoot themselves in the foot here. Our team at Altruist has worked with thousands of advisors and has even been on the other side of the table – and we've seen time and time again how being upfront about your service is all it takes to start off on the right foot and keep your clients coming back for many years. Tell them exactly what to expect and they'll have far more faith in you than if they find out on their own in the future. How did you vet your advisor? Joshi’s first advisor selection didn’t involve much vetting because he already knew him through his bank and he had an established relationship there. The fact that the advisor helped make an exception on the minimum investment made a difference, though, too. The second experience Joshi had was one that he says opened his eyes because of the transparency shown. Fees were clearly laid out upfront. Additionally, the comparison between what he’s made and what he potentially could have made was a powerful contributor in deciding to invest money with a new FA. People connect with visuals, so show them – don’t just tell them – how you can make a difference with their money. How often do you communicate with your advisor? Ashit meets with his first FA every six months but doesn’t really get any communication outside of those meetings (it’s no surprise he’s considering moving completely to the new advisor). His second advisor met with him several times to get things going initially and then plans an annual meeting. They do send weekly and quarterly newsletters to share information with him, though, and keep his investments with them top of mind (Joshi admits he’s often too busy to read all those email newsletters). 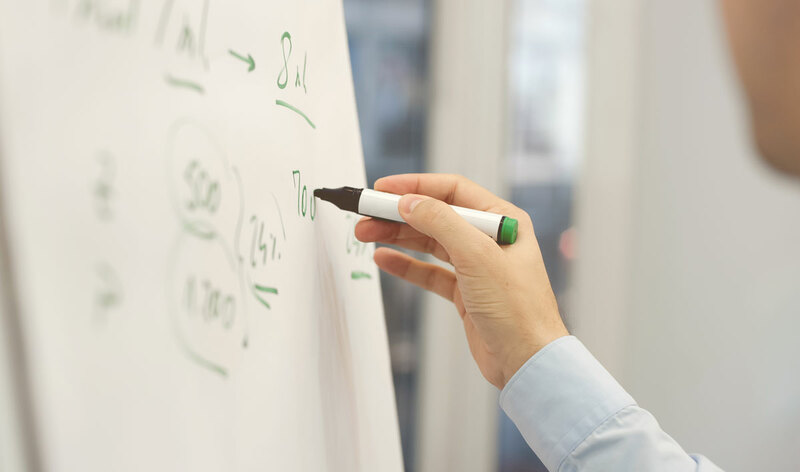 These additional touch points help showcase your expertise and that you’re on top of things. So, even if they don’t read every communication in detail, they’re getting reminders that you care about keeping them informed. Just like with any business, if a customer feels valued they’re far more likely to stick around. Even if the returns aren’t quite there, if you’ve built a personal relationship and trust with your client, they’re more likely to talk to you about the problem and collaborate to see how they can feel good about their experience again. A personal relationship has been the main reason for sticking with his first financial advisor, Joshi shares. Over the years his FA has become a friend and he has come to trust that he's looking out for his best interest. Some of the not-so-great things Joshi has experienced along the way include being caught off guard by some fees and feeling like returns were not what they should be with his first FA. 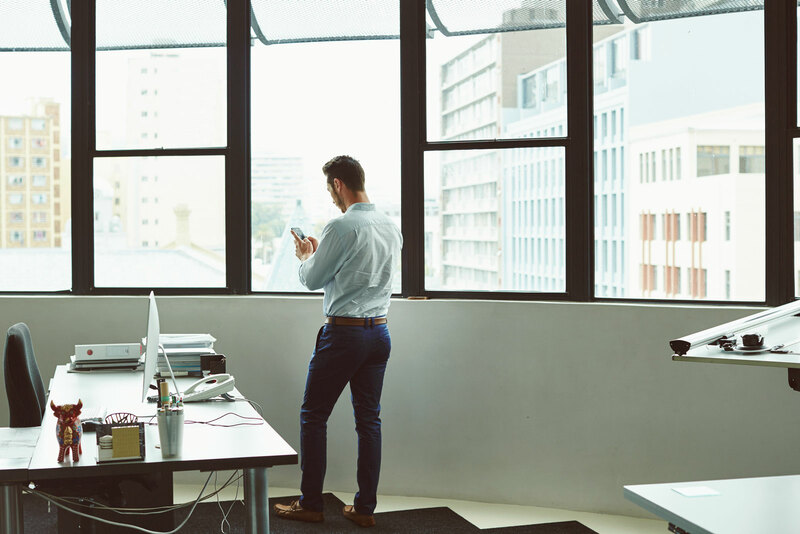 According to Qualtrics’ 2017 Financial Advisor Report, clients who feel let down by their advisors cite investment track record and trust as their top disappointments. Your clients don't hire you just for the advice or returns. They hire you (or stay with you) because they like you and trust you. Altruist is building powerful tools into our platform to make it easier to stay in regular communication with all of your clients and cultivate the trust they need. Unfortunately, the feeling of “being in the dark” is something Ashit experienced with his second advisor early on in the process. He actually had to follow up to get access to his information since he didn’t receive any online logins initially. There was a period where he was wondering what was going on between when he transferred the money to them and when he was able to see what was going on with his portfolio. Keeping your client happy comes down to really simple tasks like looping them in on what’s happening during their on-boarding and being transparent (or straightforward) along the way. Joshi says that in hindsight he wishes he knew more about the fees with his first advisor. Transparency is important because it keeps a client from feeling like someone is trying to slide something past them and increases trust. The reality is that there are many reasons cited for leaving a financial advisor – it’s not just one thing. Most of them do ultimately roll up to transparency, communication, and results. While Joshi hasn’t moved away from his first financial advisor, he did say that the results will be telling with his newest FA and if they show him better returns he’ll likely entrust them with more of his money. He mentioned he would like to learn more about the investment world, how it works, and about the overall health of his finances so he can plan for retirement and future purchases. Since his advisor is his trusted expert in the financial realm, he notes it would be nice to get more of those insights including discussing the tax implications of different financial decisions. More suggestions and recommendations would be good as well. Joshi welcomes those as long as he can understand the risk involved vs. projected return. Answering questions like “Where is my money based on inflation?” and “Am I on the right path/trajectory?” are other things that came up that he expects a FA should guide through and provide answers. Show your clients you can be their go-to and you care about keeping them informed without using industry speak that they don’t understand. Be proactive. Having tools that help facilitate communication and transparency can help build a solid relationship and provide peace of mind for the client. 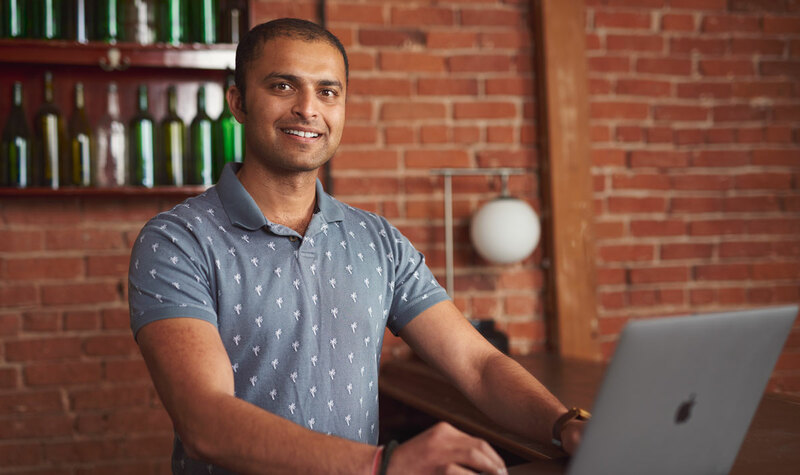 If you’re looking for ways to streamline the growth and management of your business while automating the delivery of great financial advice, Altruist is building the first fully-integrated platform to help you do just that. Altruist will also offer free trading and low (or no) software fees so you can continue to lower your fees and help your clients better. Subscribe for updates below and to get early access.